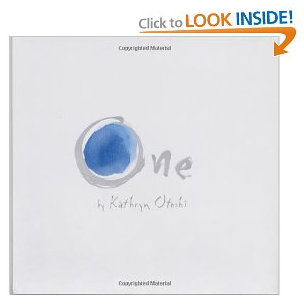 Have you read the book One by Katherine Otoshi!?!?!? If not, it is a must read/must have on your teacher shelf! 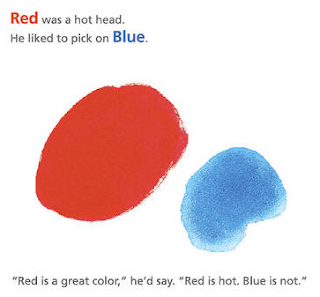 It is an amazingly simple story about colors. Which makes it very relatable for young students. The story is about bullies, the power that one person can have, and the importance to stand up not only for yourself but for others as well. It celebrates diversity and acceptance. It's absolutely beautifully written and is one of my favorite stories to share this time of the year. In a nutshell, blue is being bullied by red. All of the other colors just kind of stand around and let it happen because they're so scared of red. Until 1 comes around. And changes things...and shows all of the other colors how to stand up and count. I love the last line of the book, "Sometimes it just takes one." This book lends itself beautifully to a lesson on bullying. Which is always an important topic, even for our little ones. It has lead to some wonderful and candid conversations about bullying, being who we are, and the power each of us has to make even a small difference. I love to use this book for teaching inferences as well. You can make great inferences about character traits with this book because each color has very distinct traits that can be inferred through the color's actions. I created a quick inference sheet to use with this book. Feel free to click on the picture to grab it from Google Docs. 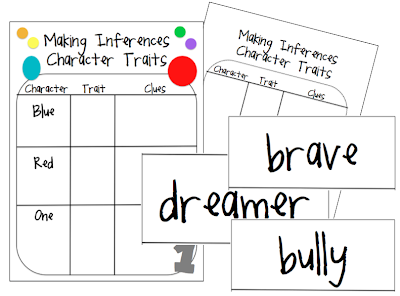 There is a sheet specifically for inferencing character traits with the book One, a blank character trait sheet to use with any other story, and nine character trait word cards to go with the book One. If you do grab it, please please please leave some love. :) I love love love your comments! That looks like a for sure must-read. Thank you for sharing. Our principal found this book, and we started using a school-wide We Are One pledge after she read it to the school in the first week. I love, love, love that book! Can't wait to share it with my kiddos. I'm going to ask my Librarian to get a copy for our shelves! We have a "Be Kind" motto at our school and we address bullying whenever we can. Thanks for sharing!!! What a great book...Getting this for our kiddos asap! Yes, I LOVE LOVE LOVE this book! Thanks so much for sharing the character traits page - very unique approach and I look forward to using it in my class next year. Thank-you so much for posting this. It led me to springboard from your idea to help my students build an inferring answer for our provincial testing. the book is great. Thank you for sharing your activity page!! I can't wait to use it.